What would you class as the most exciting job in the world? Something that lets you travel everywhere, get paid thousands per hour, and get to meet so much people you'll never remember their names? You could probably count on one hand the number of jobs which fit that description. If you absolutely love music there's a job that combines them all. An international DJ. In order to be the ultimate DJ you need the ultimate gadgets. Equipment that will not only stand the test of time, but make you look like the coolest guy in the world. With great power comes great responsibility, and as the future No1 DJ in the world that means being responsible for using the best. Here are some things you might want to pick out before you start your journey. These days, CD decks are all the rage. Long gone are the vinyl decks from the majority of establishments and if you really want to stand out from the crown you need a set of Technics. Technics is the daddy of DJ equipment and with good reason. The obvious thing when you set your eyes on them is the killer style. These things look good and will gain you instant credit in the eyes of other DJ's. They are full of every feature you will ever need to make sure your club nights go down a treat. All your standard sound effects are built in. They read anything from CD's to MP3's to SD audio. 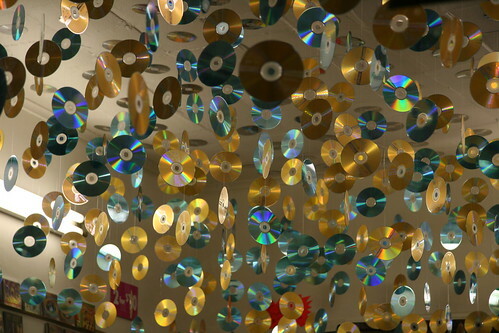 All your music can be compressed to about 1,000th the size of vinyl disks. No longer will you need to carry about huge boxes to every gig. The actual decks are also light enough to carry around anywhere. They are a must. Every great DJ needs a great set of headphones. None come better than the Monster Beats by none other than Dr Dre. Dr Dre has a PHD in headphones and these things are the bomb. Don't worry if you drop these things because they're built to take a knock. The ear pieces are made from metal and will fit nicely on top of your ears. They are an absolutely beautiful piece of equipment. No sounds will ever be the same with these bad boys on your ears. The quality is just as you'd expect from Dr Dre. I hope you enjoy loud music because the base will blow your ears clean off. Sometimes you'll get some music leaking out which won't make any difference in a busy club, but you might get a few scary looks if you decide to wear them on a bus. If you want to get your hands on a great mixing console the disputed king is the Pioneer. There mixers have been designed in collaboration with some of the world's best DJ's and give you exactly what you need. Think of that power. Their new signature mixer comes with a multi-touch screen which is one of the most forward thinking moves in years. Remix effects are only a quick flick of your fingertips away. There's a LAN hub which makes it possible to throw 4 decks into the mix. Of course this is advanced and you have to have massive skills. Apart from all the fancy stuff, all the basic features it comes with are completely functional. Just what you want. And the style is once again unbeatable. It is the perfect addition to your equipment. Brian loves gadgets and music. He thinks monster beats by dre are the best headphones out there and any budding DJ must have them.